Gianny Sosa faces a battery charge after trying a wrestling move on his school principal. NBC 6's Amanda Plasencia reports. A Miami high school student arrested after trying to perform a wrestling move on his principal is facing a new charge after police say he was recorded vandalizing a display alligator at a local shopping center. 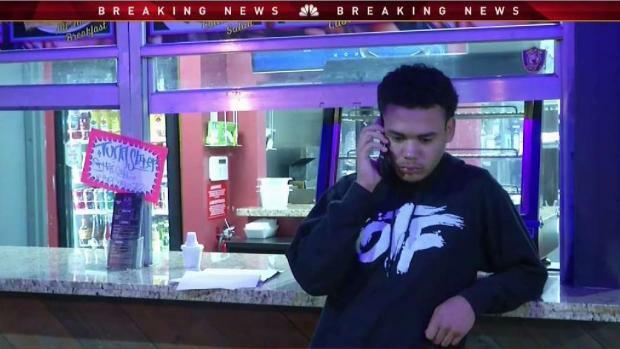 Gianny Sosa-Hernandez, 18, was arrested Monday on a criminal mischief charge in the March 30 incident at The Falls, Miami-Dade Police said. Police said Sosa-Hernandez was recorded jumping over a wooden pedestrian barrier, grabbing a display gator and throwing it into a pond before he pretended to wrestle the gator. The gator, valued at $3,690, was damaged in the incident. The recording was later posted on social media, police said. The shopping center's manager was able to confirm that it had been recorded there. 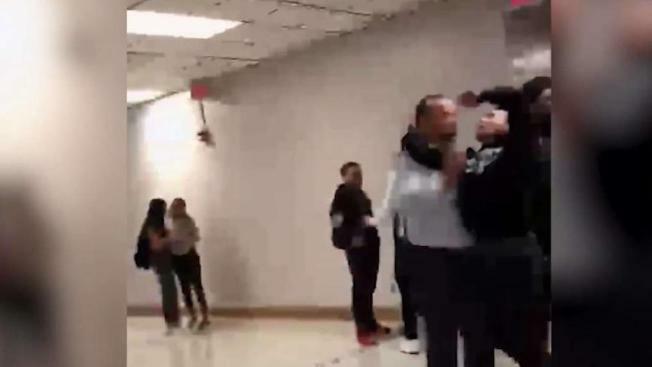 Gianny Sosa was booked into jail after video showed him reportedly trying to perform a wrestling move on the Miami Southridge High School principal earlier in the week. Sosa-Hernandez was arrested last week after police say he tried to perform a wrestling move on his principal at Miami Southridge Senior High School. The report said the teen attempted a move called an "RKO" on the principal, Humberto Miret, in a hallway. The incident was captured on a school surveillance camera, the report said. Cellphone footage was also posted to Sosa-Hernandez's Instagram page. Sosa-Hernandez was booked into jail, where he was being held on $5,000 bond Monday on the new charge, records showed. Attorney information wasn't available.